Across every industry, customer experience has become the most powerful competitive differentiator. In fact, 78% of businesses recognize customer experience as their most important strategic performance measure, according to a recent Dimension Data Global Contact Centre Benchmarking Report. With customer expectations reaching new heights, every interaction with your brand should be convenient, seamless, and personalized. 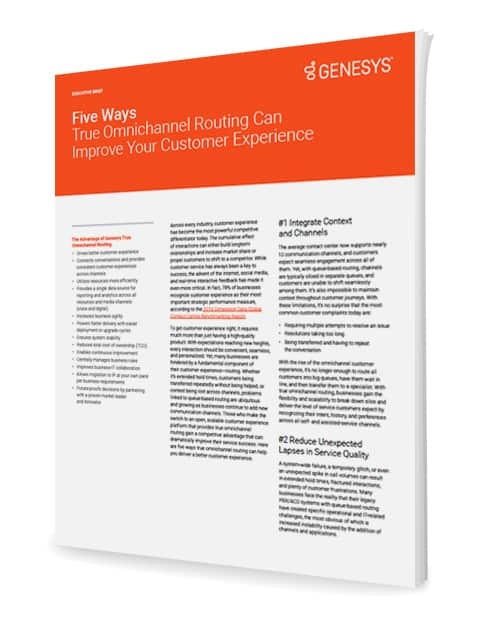 Routing is a key engine to ensure that your customers connect with the right expert, every time and on any channel.